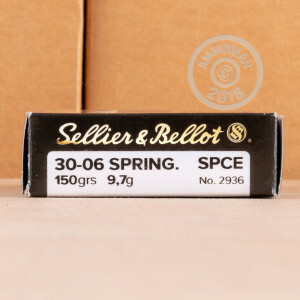 This Sellier & Bellot ammunition is an interesting twist on the traditional soft point hunting bullet. These .30-06 Springfield cartridges fire a 150 grain soft point cutting edge bullet with a special jacket that provides heavier penetration and wider mushrooming along with a lower risk of core-jacket separation. Each round produces a muzzle velocity of 2,887 feet per second. S&B ammunition is made in the Czech Republic using non-corrosive Boxer primers and brass cases. It's some of the most cost effective around for hunting. 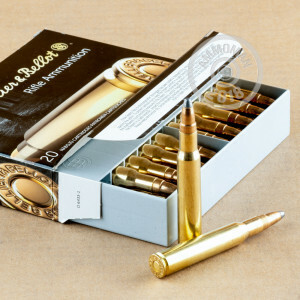 Buy all the ammo you need for hunting, target shooting, and self-defense at AmmoMan.com. Remember, all orders over $99 ship for free!